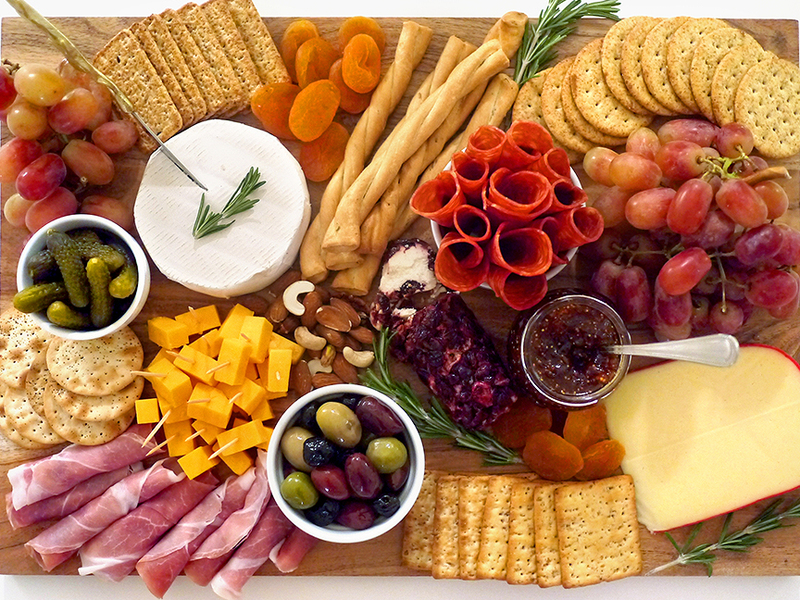 If you’re looking for a simple way to impress your guests this holiday season (or anytime, really), the charcuterie cheese board is where it’s at. You don’t have to cook for hours or do much prep, just arrange a few ingredients together on a big wooden or marble board – and voilà! It’s Pinterest come to life. Here’s what I served at a party I hosted earlier this month. 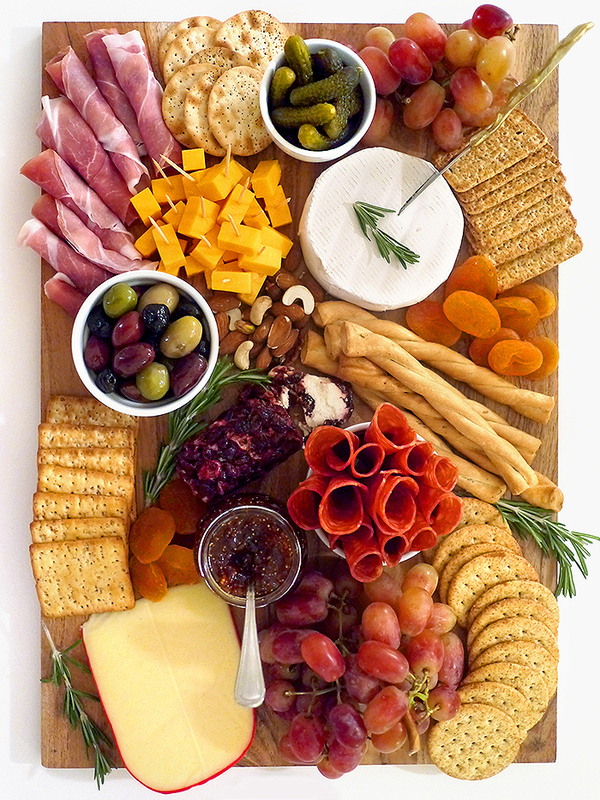 The great thing about these charcuterie platters/cheese boards is that they’re a little bit of everything for everyone. Plus, you can easily change up the ingredients to suit different dietary preferences. Skip the cold cuts for a vegetarian cheese board, or sub in some nut-based alternatives for a totally vegan cheese board! Since I was serving guests with a mix of dietary preferences, I wanted to have a variety of options. If there are vegans in your party, make sure to carefully read the ingredients on crackers – you’d be surprised about how many sneak in milk products! Pin this for inspiration later! In addition to this charcuterie cheese board, I also prepared a platter of fresh veggies, triangles of pita served with hummus (another great vegan-friendly entertaining idea), and a big bar of premium dark chocolate (also vegan), broken into delicious shards. 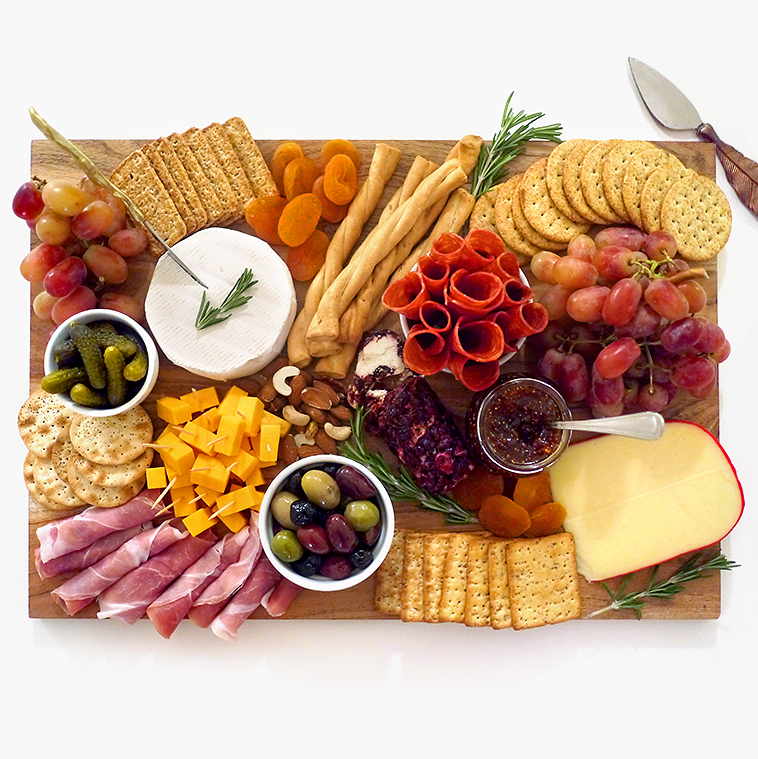 I hope you’ve been inspired to put together one of these cheese boards for yourself! If you do, leave a comment with your favourite combination of ingredients.